Vanity Fair’s Hollywood issue seems to show the joyous post-racial status of Hollywood. But hold on to your popcorn. 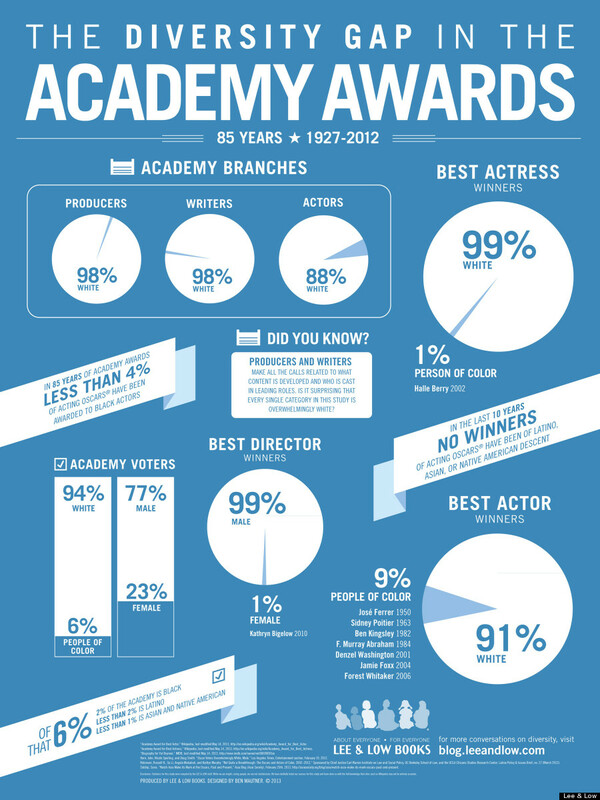 The fine people from Lee and Low books put together an infographic breaking down the diversity–or lack there of–in the Academy Awards. The numbers show when it comes to Hollywood, you may need a passport because it’s a different country. The numbers clearly show a lack of diversity. Numbers, though, are just the beginning. Both quality and quality are key to better media representations.